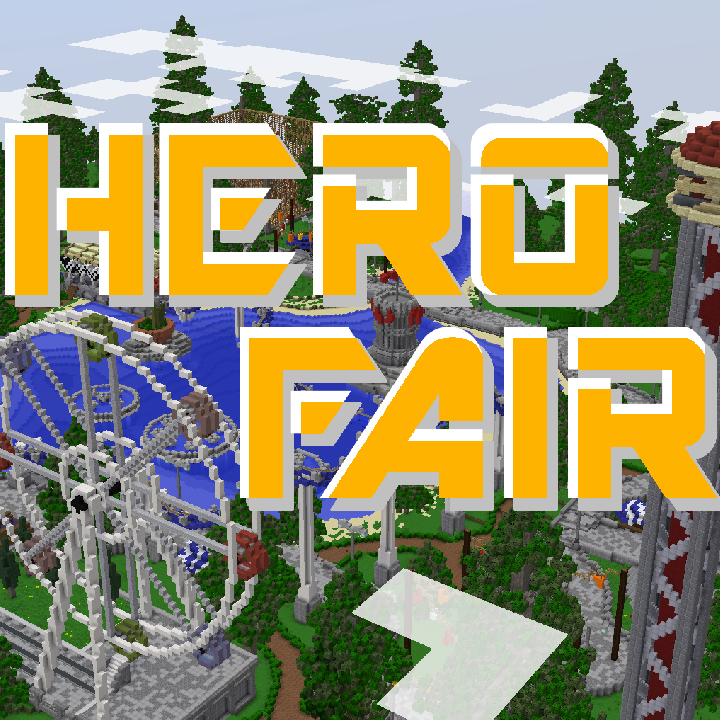 Welcome to the HeroFair Amusement Park! Home to many different rides and games! With never-seen-before content that took 8 months to make, you will not be disappointed in the amazing content! After you've tried the rides, play the games and earn credits, which then you can buy stuff at the shop, such as self-balancing scooters, toasters, toys, and more! Don't just sit there, download the thing! Since October 6th, 2017, this map has been on Minecraft Realms, so you can guarantee it's going to be good. This map can be played with any amount of players, but playing with your friends is going to add to the experience!